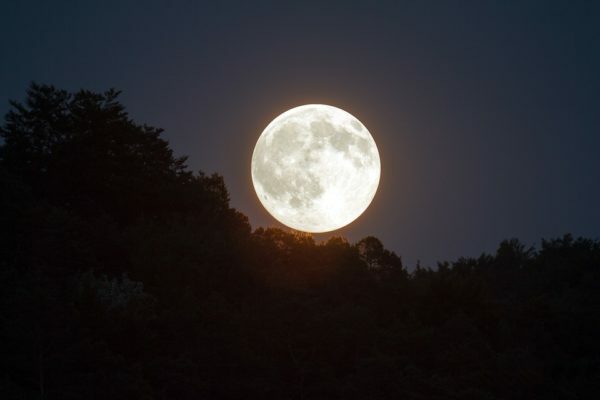 Join us for an evening hike under the full moon! We’ll start off the evening by engaging in games and activities that demonstrate the amazing adaptions of local nocturnal and crepuscular (active at dawn and dusk) animals. Once the sun sets, we’ll hit the trail and discover the fun and mystery of the woods at night. Please bring a flashlight or headlamp. If your light doesn’t have a red setting, you will be provided with red cellophane to put over it so that our night vision won’t be hindered on the trail. Suitable for children ages 4 and up. Please note that our trails are not suitable for strollers. Free for members; suggested donation of $10 per family for non-members. Contact Sena at gro.w1555593281olloh1555593281taerg1555593281@anes1555593281 with any questions or to register. Space is limited.